Welcome to the Paris Catacombs. 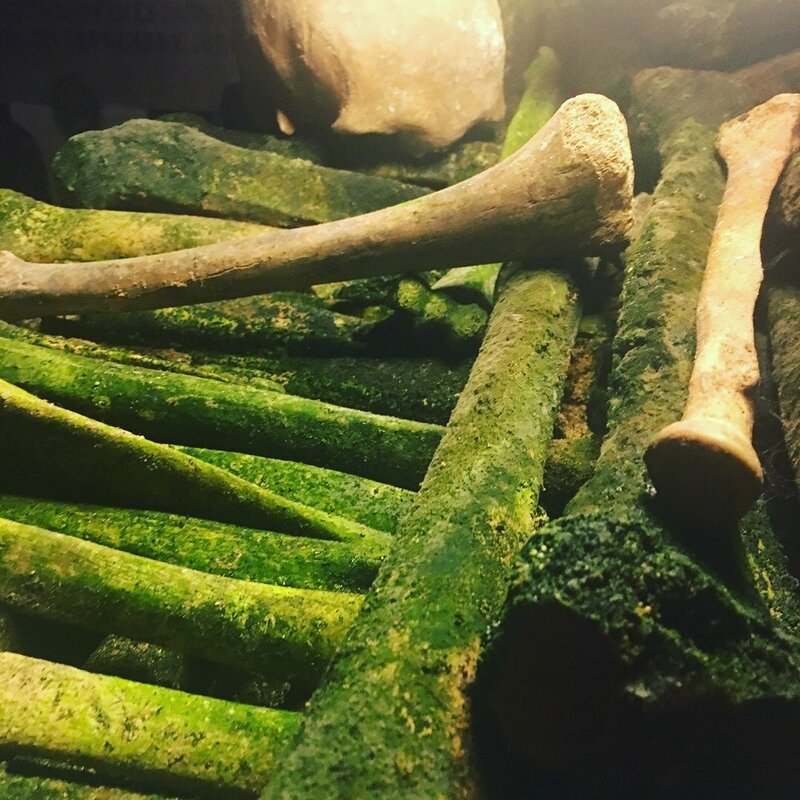 If you’ve ever wanted to be surrounded by walls of bones, this is the place for you. But these bones are special—they are stacked directly beneath a light bulb (because no sunlight can reach them, nor has it in centuries). Thanks to the breath of thousands of live visitors and this light, these lovely, bright green fungi grow on the illuminate bone. You’ll see dozens of signs warning you not to touch the bones, because no one wants you to damage the stacks and structures. Even if you’re feeling rebellious, I recommend you especially avoid brushing against these stacks: Biologists have sampled the velvety-green surface and determined that within this mass grows at least three species of bacteria found nowhere else on the planet. Nowhere else on planet Earth. What could those bacteria do to you and me? Oh, but the possibilities are deliciously horrifying. Have a kiss in the catacombs if you dare!